February 9th, 2010 by KTU | Filed under 5. Drywall and Finish Carpentry. This is the stair as Stairworks installed it. They still had to come back and install the rail and the finish carpenters still had to put in the landing floor, and the paneled surfaces. 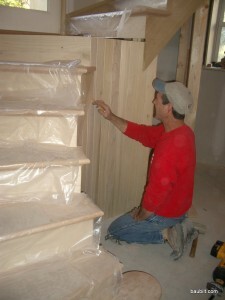 Matt installing vertical v-groove panels on inner curve of stair. 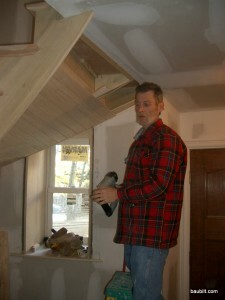 Bernie installing v-groove panels on underside of spiral stair. 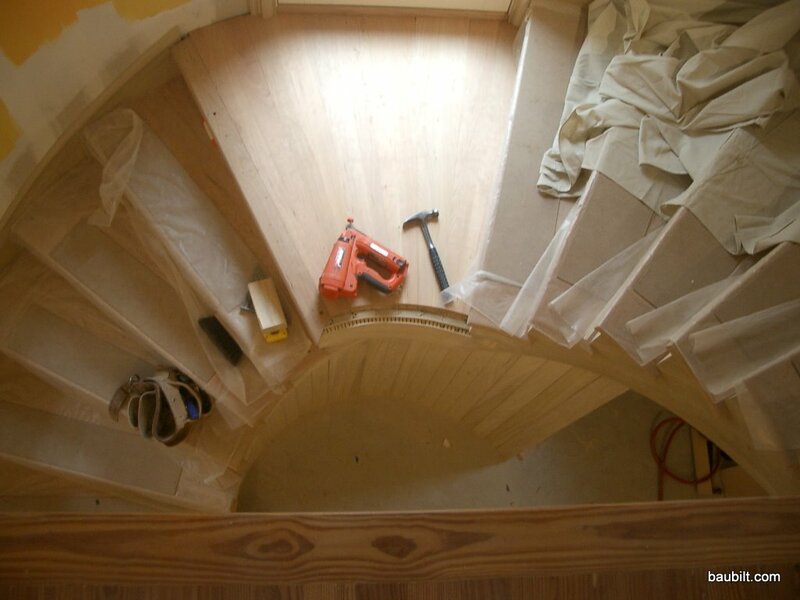 If you think about it, these have to be wedges that are twisted...tricky geometry which involved making some little masonite templates. 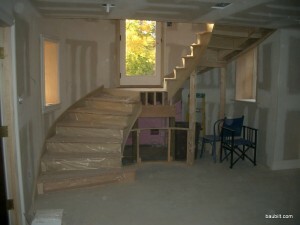 The finished stair (including accumulated junk) after about three years of use. 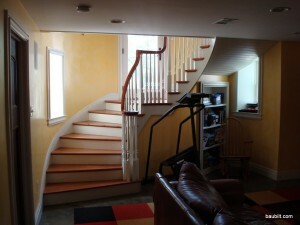 « Lowering the Side Entrance by 4 Ft.